Candlestick patterns are a form of technical analysis and charting used in the stock market, forex market and all other markets. And they can be used in all time frames, from those looking for long term investments to those who use swing trading or day trading, The power of candlesticks (also called Japanese candlestick charts) is that they excel at giving market turning points and when used properly can potentially decrease market risk exposure. You may have of some common candlestick chart patterns or candlestick terms like bullish engulfing pattern, doji pattern, dark cloud cover pattern, hammer pattern and shooting star pattern. 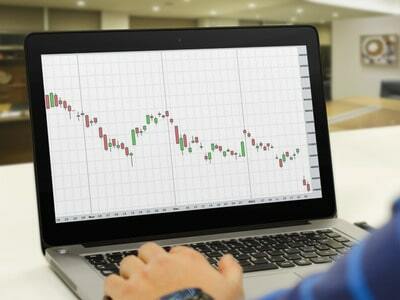 This section discusses only a few of the scores of candlestick chart patterns. There are many important candlestick patterns and trading tactics not discussed in this basic introduction. The goal of this section is to illustrate how candlesticks (and especially Nison candlesticks) can open new and unique tools for technical analysis, but since this is an introduction this will not provide a trading methodology. For example, there are many times candlestick signals should be ignored. This is where experience with candlestick charts comes in. If you’re serious about learning how to use candlestick charts, you owe it to yourself to do it the right way. With Nison candlesticks – candlestick training the right way- you can be sure you are getting the correct candlestick training. The thin lines above and below the real body are called the shadows (sometimes called candlestick wicks). The peak of the upper shadow is the high of the session and the bottom of the lower shadow is the low of the session. a long white real body visually displays the bulls are in charge. a long black real body signifies the bears are in control. a small real body (white or black) indicates a period in which the bulls and bears are in a “tug of war” and warns the market’s trend may be losing momentum. As the real body gets smaller we ultimately wind up with a doji which is a candlestick line which has an equal open-close and thus no real body. While the real body is often considered the most important segment of the candlestick, there is also substantial information from the length and position of the shadows. For instance, a tall upper shadow shows the market rejected higher prices while a long lower shadow typifies a market that has tested and rejected lower prices. Candlestick charts will often provide reversal signals earlier, or not even available with traditional bar charting techniques. Even more valuably, candlestick charts are an excellent method to help you preserve your trading capital. This benefit alone is incredibly important in today’s volatile environment. Let’s look at an example of how a candlestick chart can help you avoid a potentially losing trade. Exhibit 1 is a bar chart. In the circled area of Exhibit 1, the stock looks strong since it is making consecutively higher closes. Based on this aspect, it looks like a stock to buy. This is but one example of how Japanese candlestick charts will help you preserve capital. Nison Candlesticks truly shine at helping you preserve capital! With candlestick charts, one can use candlestick charting techniques, or Western techniques, or a combination of both. This union of Eastern and Western techniques provides our clients with uniquely effective tools to help enhance profits and decrease market risk exposure. A Japanese proverb says, “His potential is that of the fully drawn bow- – – his timing the release of the trigger.” The timing of the “release of the trigger” depends on many factors not addressed in this pamphlet. However, while this pamphlet provides only a basic introduction to candlestick charts we hope you have discovered how Nison candlestick trading techniques can help enhance profits and decrease market risk.